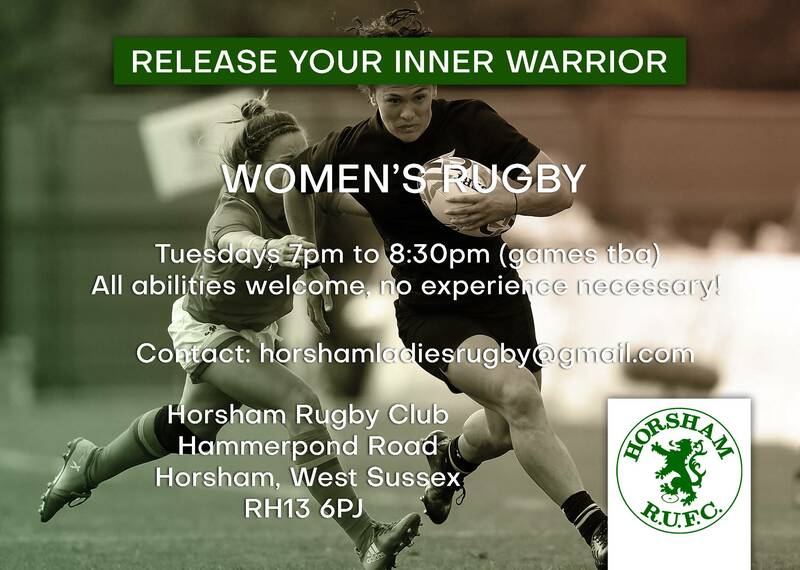 Horsham ladies 1st XV were proud to Support Burgess Hill development by supplying 6 players from Horsham 1st XV Ladies squad. Neither team quite has a full squad so to aid their development and Game time both squads have agreed to Lend Players between the teams so that they can play meaningful fixtures with other new and developing teams. Horsham had 6 players attending the Match 5 of whom were playing their very first games of Rugby. Pleasingly no-one avoided the contact situations and indeed were exceedingly brave. In fact they were even involved in a couple of double hits with other players within the team. Good lessons were learnt all round, especially the part of wrapping up warm and having lots of layers on whilst waiting to play. I wont comment on the game itself or on any individual contribution as this is their very first game, but the Coaches were very pleased with all of the Horsham Ladies contributions and none of them looked out of place on the field of play. Huge respect to all of them for stepping out onto the Park and they all seemed to enjoy themselves and we are hoping that they have learnt a lot as well as proving that it is not as bad as it looks. See you all at Training for the next evolution in your Rugby Journey.